Sometimes it feels like kids are hard-wired to put a pony on their wish-list at some point during their childhood. 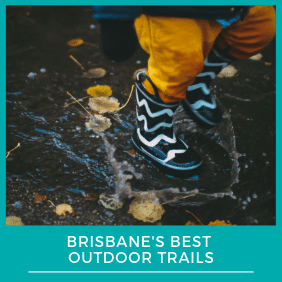 Pony clubs and horseriding are almost a rite of passage for country kids, but your Brisbane Kids don’t need to miss out because they live in a city. In a time of great urban development, there are still pony clubs and horseriding school dotted around the Brisbane suburbs and outskirts. It is often a surprise to find large paddocks with jumping paraphernalia right in the middle of suburban hustle and bustle. These pony clubs offer instruction on horse care and riding for members as well as hold club days and participate in external events. Some also offer the option of agistment for your horse. (You can leave your horse at the pony club grounds). Owning a horse and learning to ride can instil a sense of responsibility and achievement in your child. Many children end up developing a lifetime love of horses. If horse ownership isn’t for you, but your Brisbane Kid is still keen to learn, there are plenty of horse-riding schools around Brisbane that provide a horse to learn on. These schools teach you everything you need to know about caring for a horse, and how to ride one! You can choose from one-on-one lessons, holiday camps, or even hold your birthday party there. We’ve put together a great list of pony clubs and horseriding schools in Brisbane below. Ready Set Trot is a new program for children aged between 5-12 with an interest in learning about and having fun with horses. Fun group games and activities teach children basic horse skills and horse safety from an accredited coach. The 16 hour session costs $350 which covers the cost of all lessons and includes a fun starter pack. Sign-up to a program near you at: http://www.Readysettrot.com. School holiday programs also available, see the website for more details. Governing body for Pony Club in Queensland. Website: www.pcaq.asn.au. Please contact the Clubs listed below for more information.